For several years, computers have made short work of human champions in Go and chess. Now, artificial intelligence researchers are attempting an improbable path even closer to human capability: Pictionary, a guessing game requiring not strategy but the hard-to-duplicate quality of common sense. Why it matters: The effort to play with humans — rather than against them — is a step toward an optimistic future of work in which AI cooperates with people to complete tasks, rather than wiping out workers in large numbers. 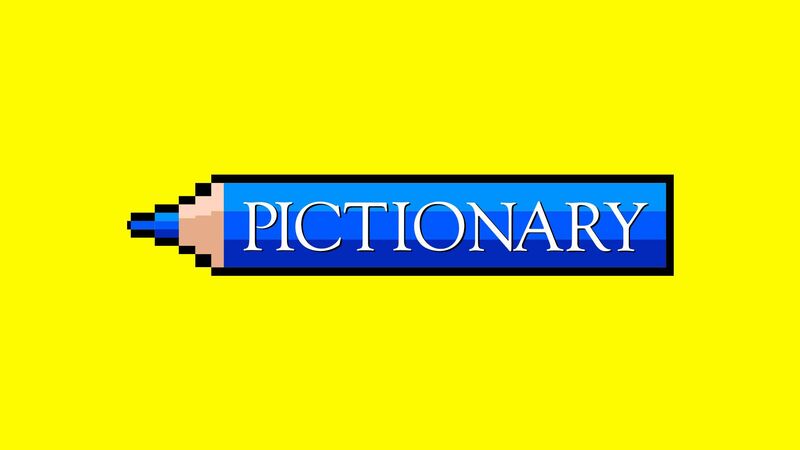 Driving the news: Researchers at Allen Institute for Artificial Intelligence have developed an AI program that can play both sides of Pictionary, a game in which one player draws a picture to represent a word or phrase for the other player to guess. The big picture: Pictionary only seems straightforward. Like so many tasks that come naturally to children, it's a challenge for even the most advanced AI. That's because it requires a grasp of nebulous concepts that are common sense to humans, but that no one has figured out how to easily teach computers. It's impressively good, but doesn't quite feel like a grandmaster yet. But if the Allen researchers can make the leap from where they are now to mastering common sense, they will have accomplished a lot. It is hard to define precisely, but it's an underestimated and central human quality, essential for communication. An important point: It's also a key stepping stone to machine intelligence that matches or surpasses human capabilities. "Whenever the AI is taking a concept or idea that doesn’t have a corresponding icon, it’s forced to use its learned common-sense knowledge to figure out how a combination of icons can be used to effectively communicate the concept to a person. The space of possible icon combinations is in the trillions, but AllenAI learns how to do it quite well." Stefaan Verhulst, who researches human–computer interaction at New York University, told me that the AI reasons its way to a guess like a human would. That's something that would be useful, say, where a computer is missing important information and has to fill in the blanks, he said. But, but, but: Dileep George, co-founder of the AI company Vicarious, said the player is still far from exhibiting genuine common sense. He likened it to the auto-complete feature on smartphones — a system that can guess what a user intends to type, but doesn't have a deep understanding of the world. Watching the computer tells us something about people, too. Since the AI trained by watching humans play, it has absorbed some human biases. In one game, I was assigned the phrase "couple buying a car." I drew two men, a dollar bill, and a car, but the system couldn't guess the phrase. I added a wedding ring between the men, but it still didn't understand. When I changed one of the men to a women, the AI immediately guessed correctly. This type of mistake — where AI reflects the narrow point of view of the humans it learns from — is a common problem. When AI systems are in charge of hiring, doling out loans, or evaluating parole applications, the danger of creeping bias is far greater. My thought bubble: The AI is better at guessing than drawing. If a player asks for a new drawing when he or she can't immediately guess the phrase, the AI can get stuck. This is a difficult situation, because the computer must "proactively adapt if [its] human partner cannot guess," says Ani Kembhavi, a researcher at the Allen Institute. It must know what to add that will get the person across the finish line. Figuring out how to fill in the gaps when a person isn't understanding is key to human–machine communication.